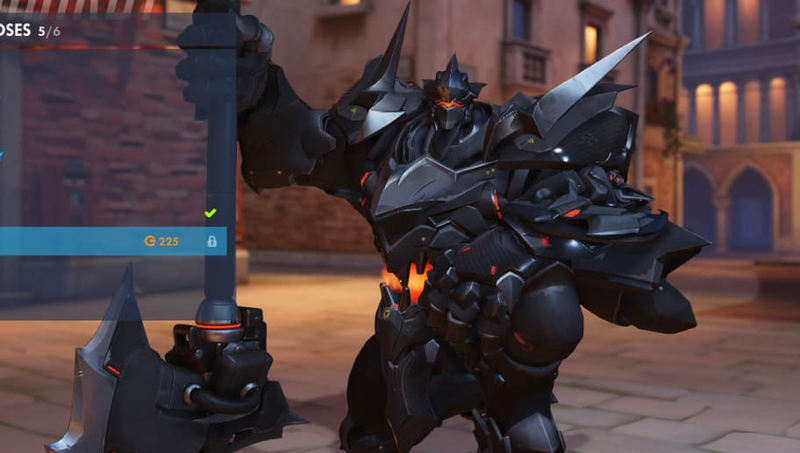 Overwatch Uprising included six new victory poses last year, and this year's event, Overwatch Archives, includes six more that were released Tuesday as part of the event launch. Victory poses have traditionally been only very slightly animated, but some of the new victory poses this year are very animated and will look incredible when you win a match. All the victory poses this year cost 225 gold. Here are all the new victory poses for Overwatch Archives! 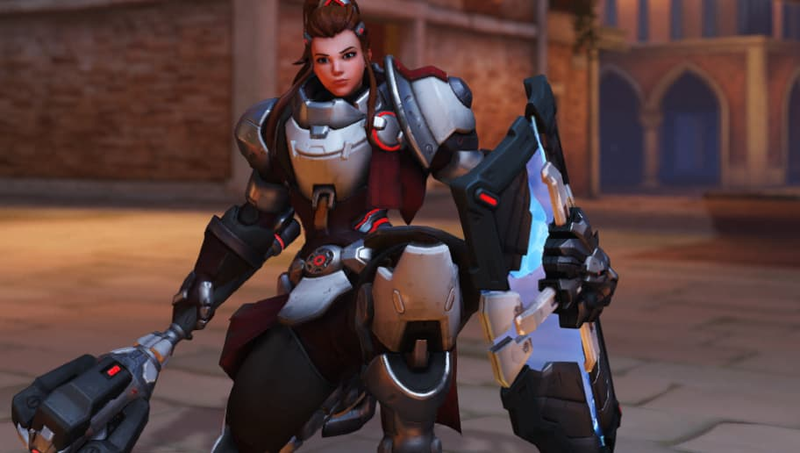 This is Brigitte's first seasonal event as a new hero and this is her first new content! A heroic kneeling pose is perfect for her, and mirrors her kneeling emote that's already available in game. This pose is especially cute because her Godfather Reinhardt was given the same pose this year too! This very noble pose for Reinhardt is of course all the more special because he shares the same pose with his Goddaughter Brigitte. It also must be nice for him to be able to put his hammer down (hehe, get it?) for awhile. 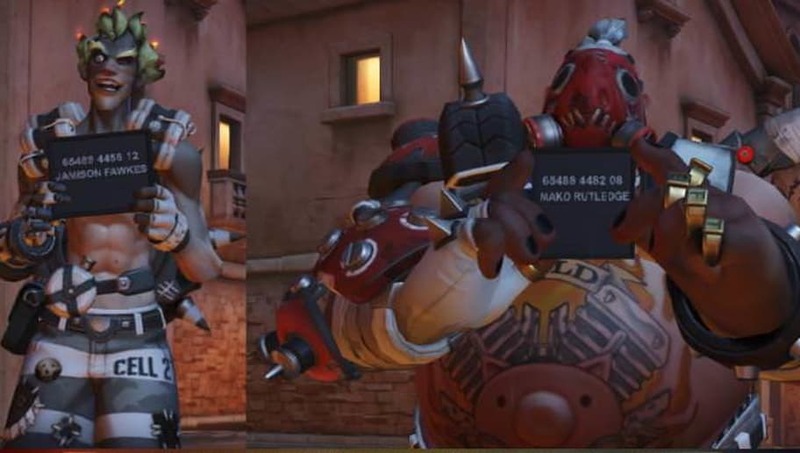 Junkrat and Roadhog have both received matching poses this year (like Brigitte and Reinhardt, except more precious) that emulate their original mugshot photos. Featuring their names and prisoner numbers, these victory poses are going to look adorable next to each other after a winning match. This victory pose is truly special -- it's highly animated, more so than any victory pose yet implemented in game. Moira is holding an Erlenmeyer flask (hence the name) and making some kind of dastardly potion no doubt! Or a fancy drink, who knows. This definitely isn't the first time we've seen Orisa with a puppy in her hand! This highly animated victory pose features Orisa and her french bulldog puppy once again (the first sighting was last December with Orisa's Puppy emote), licking her face. The event features ​the return of Uprising Brawl, the popular alternate game mode. There's story mode, in which players can play as Tracer, Reinhardt, Mercy or Torbjörn. They essentially replay Tracer's first Overwatch mission through the streets of Kings Row. The mode is also available in "All Heroes" mode. Eight legendary skins ​are released in the event. 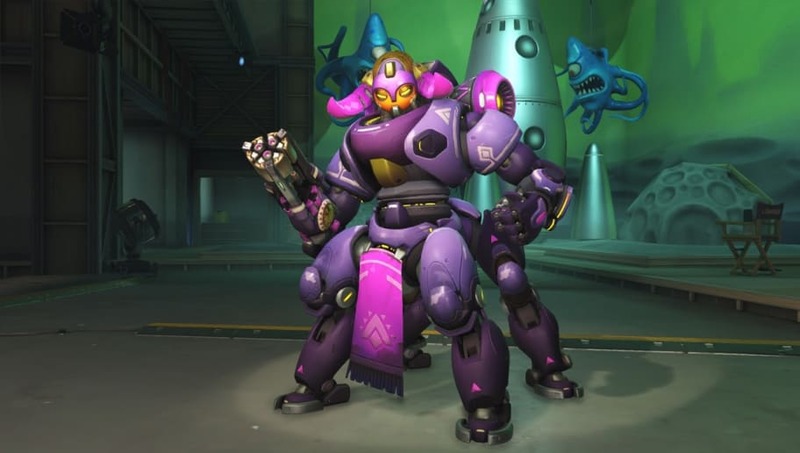 Six skins (though it's unclear how many of them will be legendary) were revealed or released at an earlier time, a list that includes ​Blackwatch Moira, ​Scion Hanzo, ​Soldier 24 Reaper, ​Talon Sombra​, ​Pyjamei (Pyjama Mei) and ​Specimen 28 Winston. The Soldier: 24 Reaper skin ​was seemingly leaked Tuesday morning via Xbox, and another skin for Lucio ​was apparently leaked through a trailer for Overwatch Retribution on IGN's website.